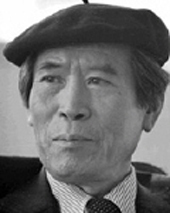 Hwang Sun-won (March 26, 1915 – September 14, 2000) was a Korean short story writer, novelist, and poet. Hwang Sun-won was born while Korea was under Japanese colonial rule in Taedong, South Pyongan, in modern-day North Korea. Hwang Sun-won made his literary debut as a middle school student with the publication in 1931 of his poems “My Dream” (Naui kkum) and “Fear Not, My Son” (Adeura museowo malla) in Eastern Light (Donggwang). Hwang Sun-won graduated from Waseda University in Japan with a degree in English. During his time at Waseda he founded a theater group called Tokyo Students’ Group for the Arts (Donggyeong haksaeng yesuljwa), along with fellow students Lee Haerang and Kim Dongwon. In November 1934, Hwang Sun-won published his first poetry collection, Wayward Songs (Bangga).Following the division of Korea he lived in the South, becoming a professor atKyunghee University. 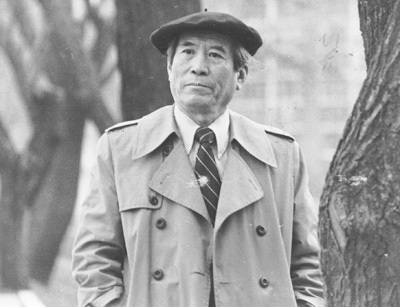 Hwang Sun-won published his first story in 1937 and continued writing through 1980s; during his long literary career, Hwang Sun-won observed firsthand the suffering of ordinary Koreans under many different forms of oppression: colonialism, ideological strife, Korean War, industrialization, military dictatorships. What he sought to capture was the resilience of the Korean spirit even in times of adversity, rather than the adversity itself, and the discovery of love and goodwill in unlikeliest of circumstances. was noted, particularly early in his career, for refusing to write in Japanese (Yom Sang-seop was another example of this stance). Hwang is the author of some of the best-known stories in the modern Korean literary canon, including “Stars” (1940), “Old Man Hwang” (1942), “The Old Potter” (1944), “Cloudburst” (1952), “Cranes” (1953) and “Rain Shower”(1959). In “Cranes” (Hak), for example, two childhood friends now on opposite sides of the ideological divide, find a way to rediscover their love for each other, and “The Shower” (Sonagi) highlights the pathos and beauty of love between two children. Children, in fact, often appear in Hwang Sun-won’s short stories as vessels of purity. “The Swamp” (Neup) and “The Stars” also manifest concern with the ephemerality of childhood. 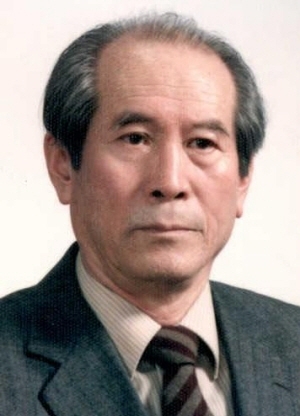 Hwang Sun-won began writing novels in the 1950s, his most successful being Trees on a Slope (1960), which depicts the lives of three soldiers during the Korean War. Sunlight, Moonlight (1962–65) depicts the lives of members of the former untouchable class in urban Seoul. The Moving Castle (1968–72) depicts the complex and problematic synthesis of Western and indigenous cultures in rapidly modernizing Korea. It is also one of the few depictions in fiction of gender roles in Korean shamanism. March First (Samil) Culture Prize.